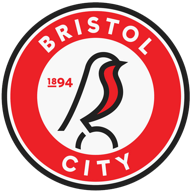 Moussa Dembele struck twice as Fulham put four first-half goals past Bristol City before winning a one-sided Championship contest 4-1 at Ashton Gate. 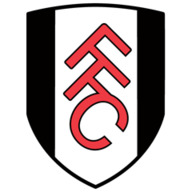 It was a defensive horror show from Steve Cotterill's team who were carved open at will during an opening 45 minutes in which Fulham looked irresistible. The visitors took a second-minute lead when James Husband got behind City's defence on the right and crossed low for Dembele to shoot home from six yards. On 18 minutes, Aden Flint's ill-advised cross-field pass was intercepted by Ross McCormack. He fed Tom Cairney, who crossed from the right for Dembele to side-foot his second at the far post. McCormack's sweetly struck free-kick from 30 yards following a foul by Luke Freeman made it 3-0 on 33 minutes and soon it was four as Ryan Tunnicliffe lobbed Fielding when running onto a bouncing ball that split City's back-line. Ryan Fredericks, who began the season with City, almost made it five with a 38th minute cross-shot from the right, which came back off the crossbar. It was not until injury time that City pulled a goal back, with top scorer Jonathan Kodjia converting a cross from substitute Simon Cox, shooting first time past Andy Lonergan from eight yards. The second half had seen City's biggest goal threat Kodjia waste two great chances as the hosts restored a modicum of pride. The French import shot wide after capitalising on a mistake by Husband on 56 minutes and then delayed his shot with only goalkeeper Lonergan to beat 10 minutes later. With Richard Stearman a rock at the back, Fulham never looked in danger of letting their opponents back into the game. McCormack might have extended their lead early in the second half, but took too long over his shot and allowed City's defence to crowd him out. Matt Smith received a warm ovation from home fans when introduced as an 81st-minute substitute for Dembele, having excelled on loan at Ashton Gate last season. But the big target man may have hardly recognised his former City team-mates, who took League One by storm last season, but are finding life a good deal tougher in the Championship. Fulham were quicker to the ball and more incisive in building their lead with a display that will have delighted boss Kit Symons.